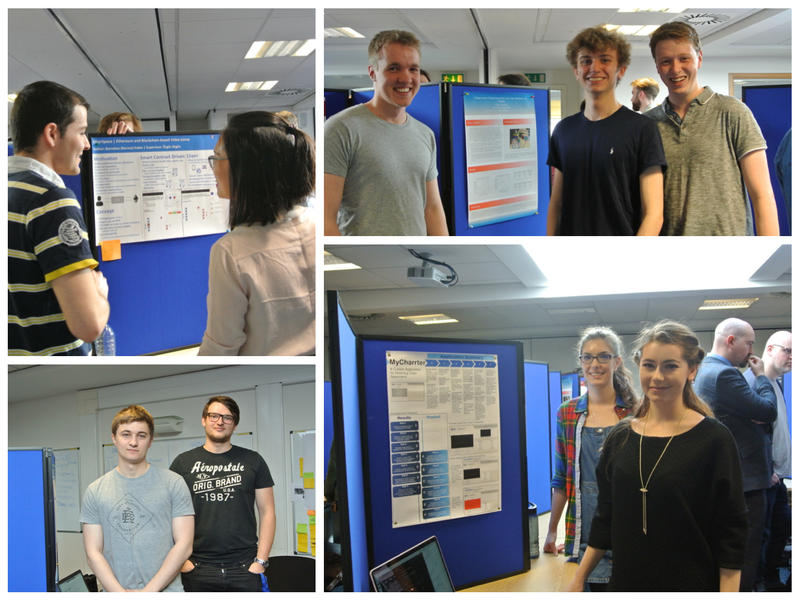 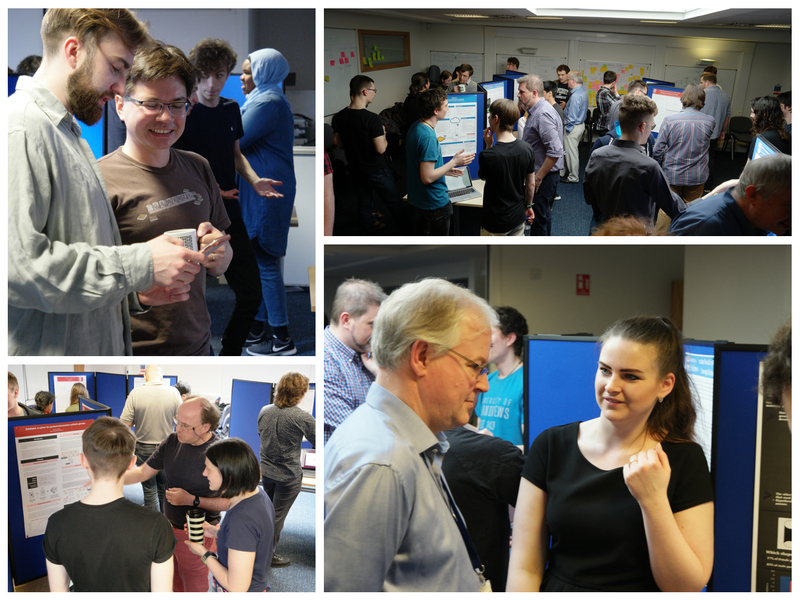 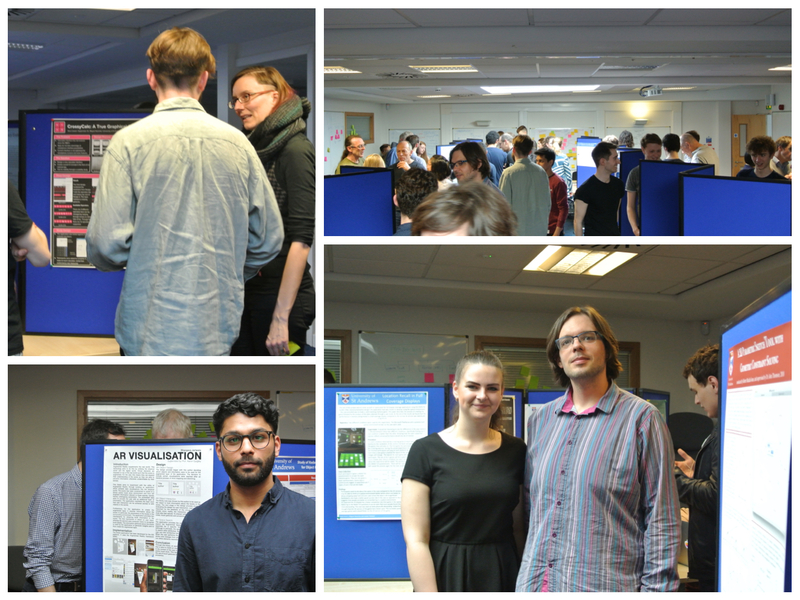 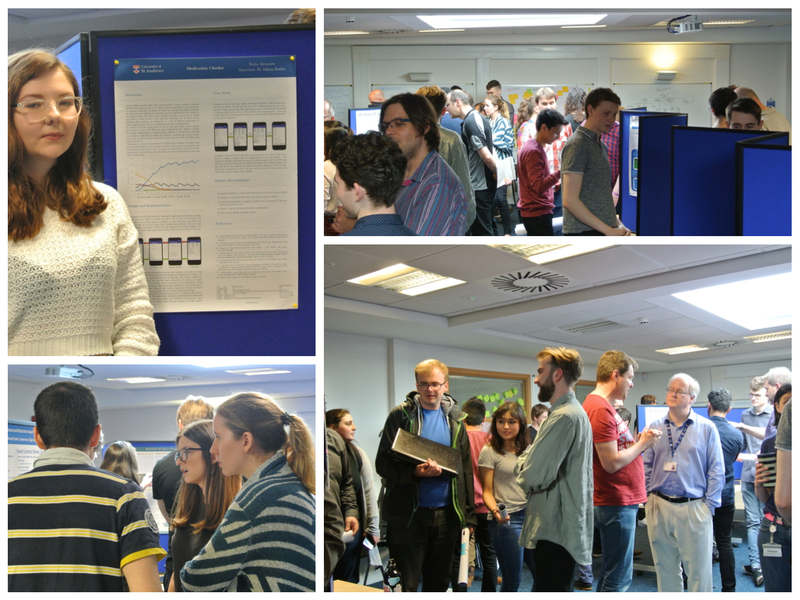 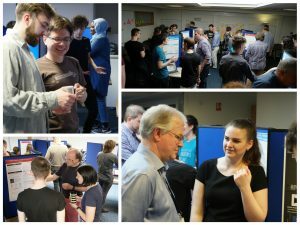 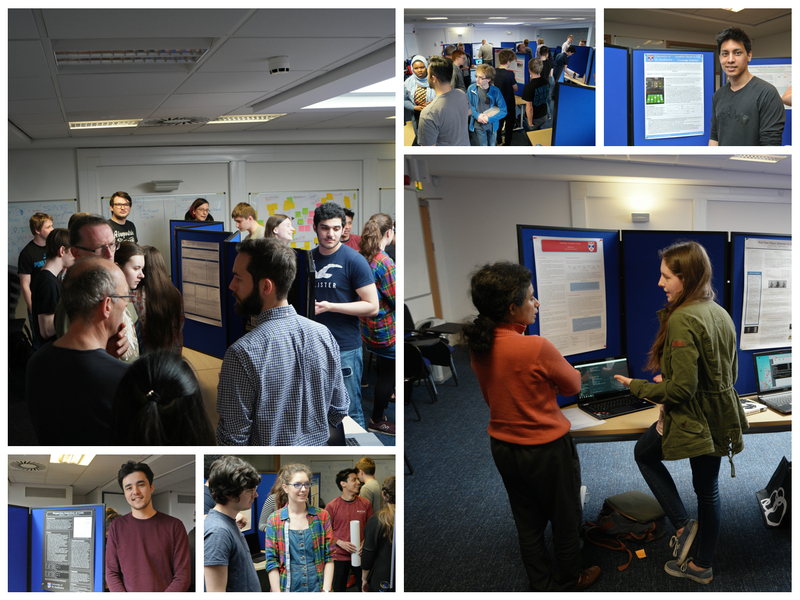 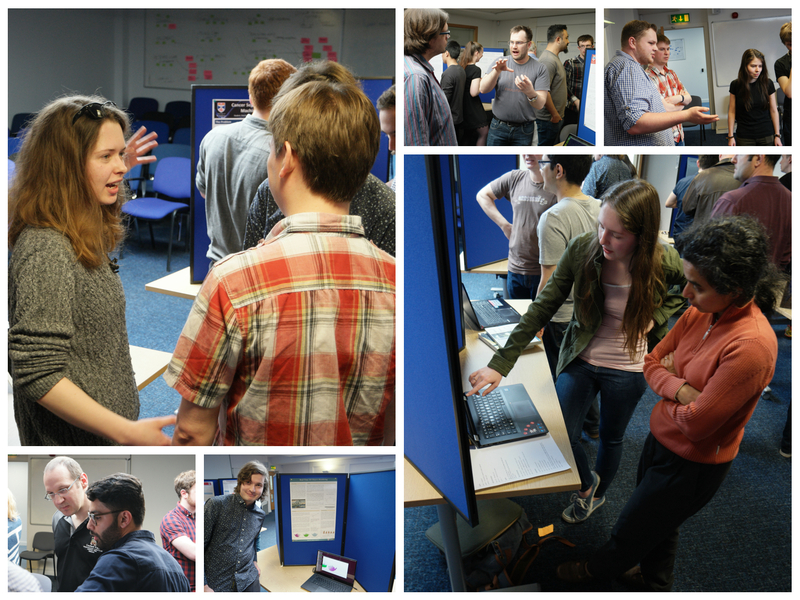 Our talented Senior Honours students are pictured presenting posters and software artefacts to second markers, interested staff and students last week. 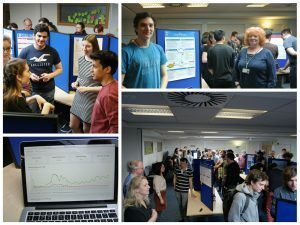 The impressive range of year-long projects included, plagiarism detection tools, augmented books with AR Visualsiation, Network science in GPUs, evaluating Full coverage display, a Blockchain construction toolkit, Intrusion detection systems evaluation and many more demonstrating cutting edge research areas. 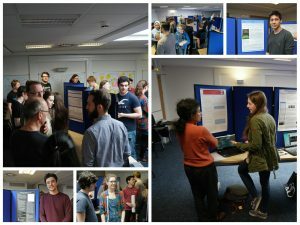 The successful session was organised by Kasim Terzic, projects coordinator in the School. 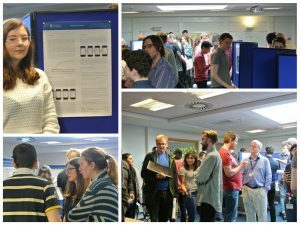 We wish our students well with their forthcoming exams and look forward to seeing them at June graduation.